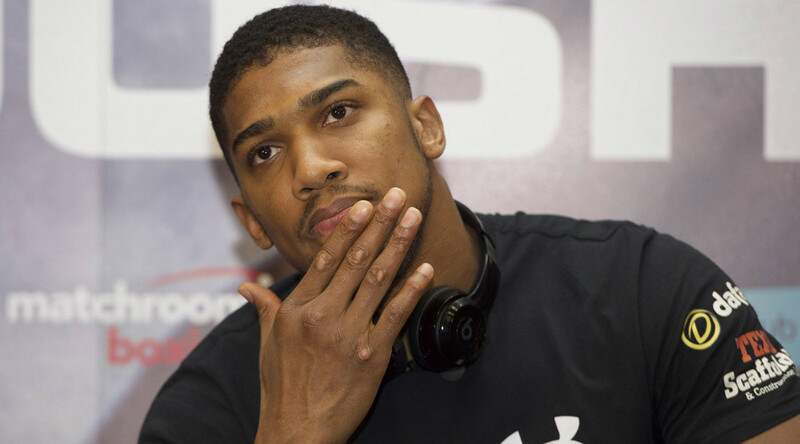 World heavyweight boxing champion Anthony Joshua was the target of vile abuse from internet trolls after he posted a picture on social media of him praying in a mosque. Joshua, 27, is currently holidaying with friends in Dubai, the United Arab Emirates, and posted the image of his himself praying in the holy building to his Twitter and Instagram accounts. ‘Asr’ refers to the Asr afternoon prayer, the third of the five daily prayers recited by practicing Muslims. The image has thus far garnered 17,000 retweets and has been liked 23,000 times on Twitter, as well as being liked 95,000 times on Instagram. However, in the comments on each site, some social media users took the opportunity to vent their anger at Joshua and Islam, with some claiming he had lost their ‘support’. “Jesus Christ, that’s an unfollow from me an all if you follow that backwards religion! Good day,” wrote another disgruntled user. Tommy Robinson, founder of the far right protest group the English Defence League (EDL), also had his say, urging users to prove selected verses from the Koran posted by another user did not promote hate. Others saw it as an opportunity to show their support to Joshua and pointed to the humanitarianism of boxing legend Muhammad Ali – a former world heavyweight champion and practicing Muslim. The tweet by Joshua in the mosque coincidentally came on what would have been Ali’s 75th birthday; the three-time heavyweight champ died in June last year. Prior posts showed Joshua embracing the local culture in Dubai, including wearing traditional Emirati dress, riding quad bikes on sand dunes and posing on the beach with a flag of the United Arab Emirates. The Olympic Games 2012 gold medalist seemed unfazed by the comments, later posting a picture of himself tucking into apple pie and ice cream dessert. Joshua is due to fight former long-reigning champion Wladimir Klitschko at Wembley Stadium on April 29 for the IBO, IBF and WBA heavyweight titles. A record for number of tickets have been sold for the fight, with a total 80,000 being snapped up following the second official round of ticket sales on Monday lunchtime.